Rock ‘n’ Roll has never been about taking things in moderation. So why skimp on your guitar tone? 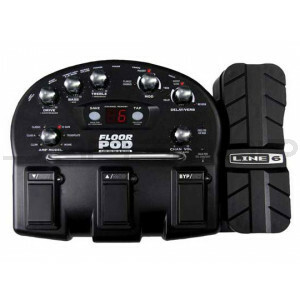 Floor POD® offers 12 prescription-strength amp and cab models from the critically acclaimed POD® 2.0 plus amazing sounding, easy-to-use effects right at your feet. Now you can have your signature sound in any situation.